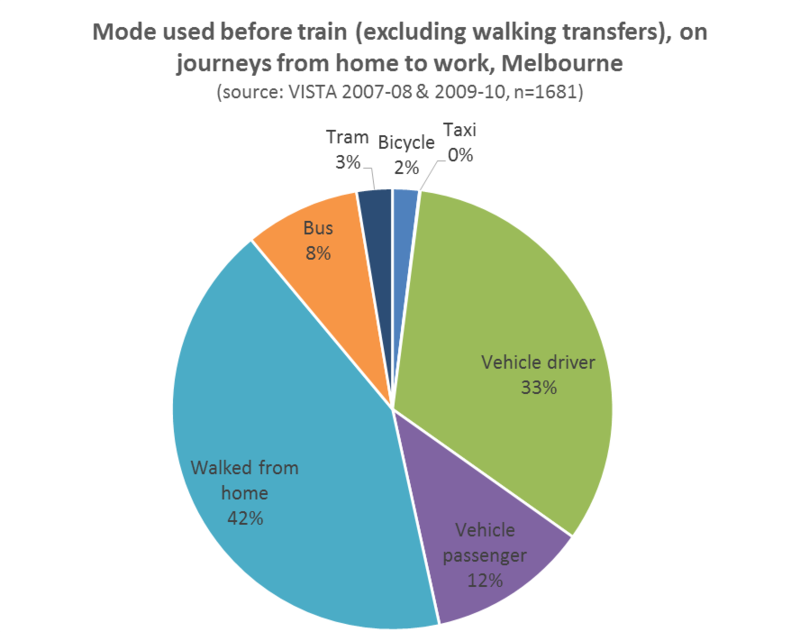 How multi-modal are public transport journeys to work in Australian cities? It seems public transport intermodal integration is a frequent topic of conversation in Australia’s larger cities. So how multi-modal is public transport travel in our cities? 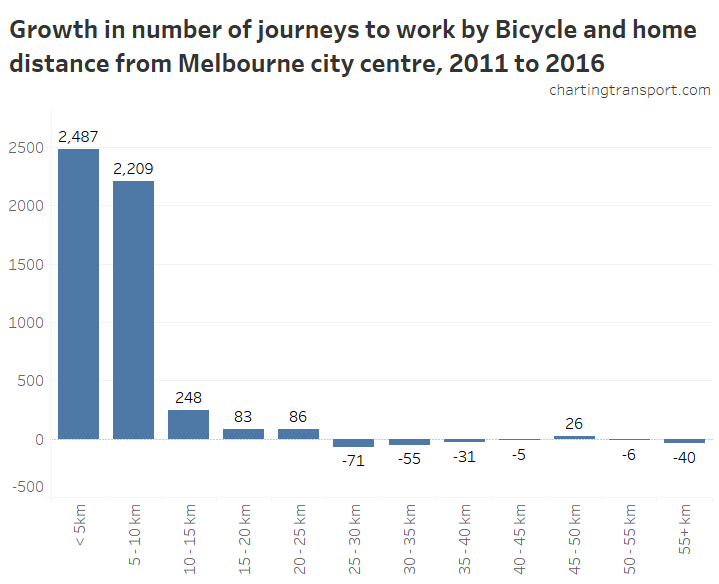 In this post I’ll look at journeys to work from the 2011 census for the five larger Australian cities with multi-modal public transport networks. The results might not be quite what you expect. Commuters from the middle and outer suburbs are more likely to require a rapid transit component to their commute to ensure an attractive travel time. 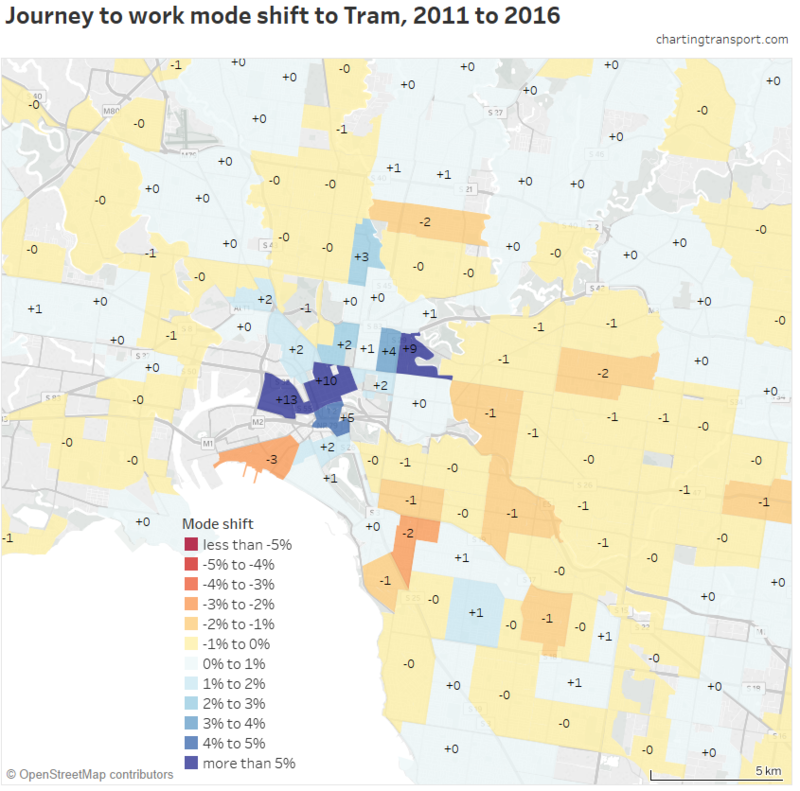 Cities with CBD-orientated busways (primarily Brisbane, Adelaide and to a lesser extent Perth) are perhaps less likely to see multi-modal journeys as buses provide both the local pick up and the rapid transit component of the journey. Cities with more extensive train networks are also perhaps less likely to see multi-modal journeys because a greater share of the population will be within walking distance of a train station and not require a feeder mode (eg bus). In cities where transfers are a fundamental part of the network design, there might be higher transfer rates. For example, very few middle and outer suburban bus routes in the larger cities service the CBD, rather they run to train stations where passengers generally transfer to trains to access inner city areas. This is particularly the case in Melbourne and Perth. The same issue applies for people arriving in city centres. For example, Sydney ferry commuters travelling to areas of the CBD not within easy walking distance of a ferry terminal would need to transfers to buses or trains. Adelaide only has one train station which is on the edge of the CBD, effectively forcing transfers onto buses or the tram for most CBD destinations. Perth has two main CBD train stations, although the core employment areas are within reasonable walking distance of these stations. That said, one might argue that an ideal integrated public transport network would encourage people to use local modes (bus or tram) to travel between destinations and major transport nodes within city centres (in all cities except Sydney, such transfers are almost always free). All cities do offer street-based public transport to help circulate commuters within city centres. I also wonder whether these short trips within city centres might be under-reported in census data (perhaps something to explore another time). 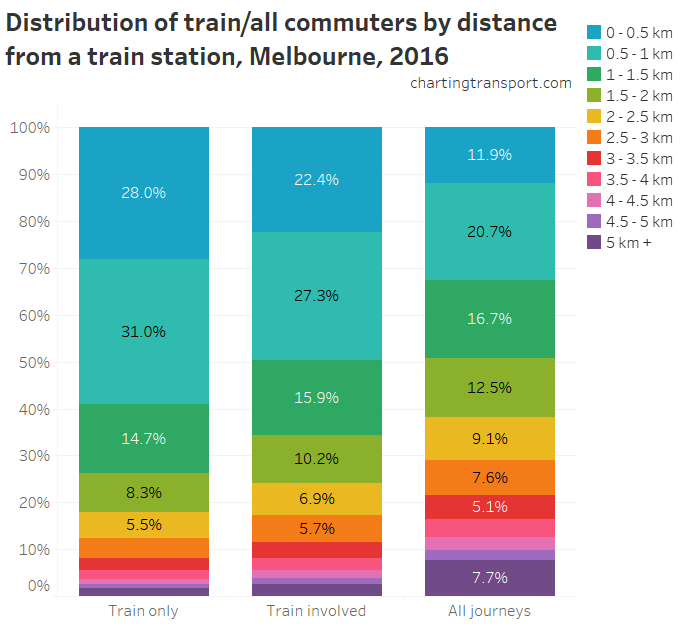 The first thing to note is that the share of commuters who use multiple public transport modes is very low (considering public transport mode share to city centres is generally very high). 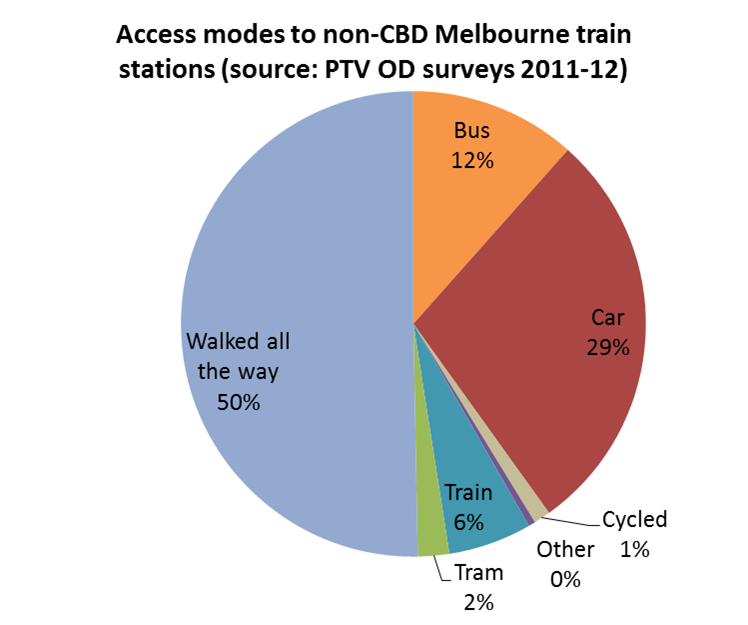 The vast majority of people who use public transport to access jobs in city centres only use one mode. 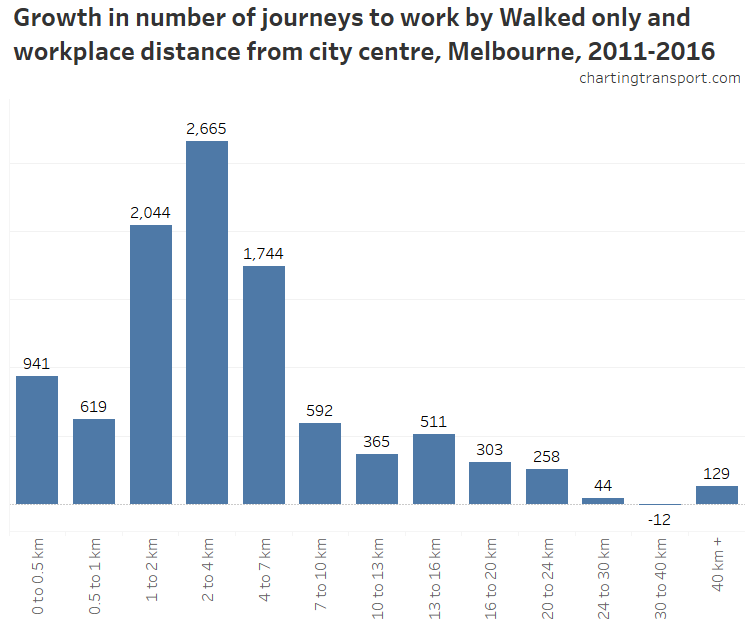 Given that most city centre workers don’t actually live all that far from the CBD, it’s not too surprising as an overall pattern. Perth’s rapid transit network is relatively sparse (five train lines and one busway), meaning fewer people can walk to a rapid transit station. Indeed, most train stations on the northern and southern lines have very limited walking catchments, but relatively strong bus feeder services and excellent interchange layouts that make transferring easy. The increase between 2006 and 2011 is no doubt related to the Mandurah line where many previously bus-only journeys have been replaced by bus-train journeys, but it might also relate to improved feeder bus services on other lines. 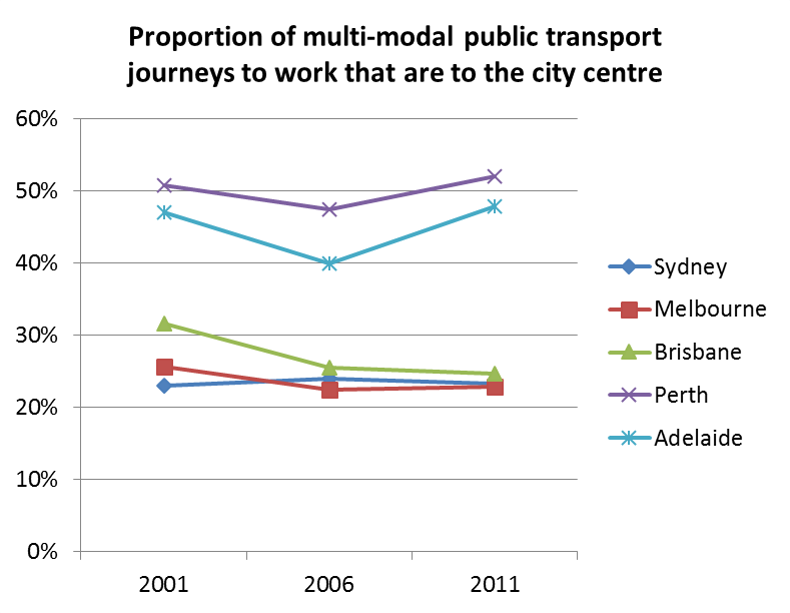 Perth’s high multi-modal share may also reflect a strong focus on timetable coordination. My understanding is that Transperth don’t try to “optimise” train-bus connection times, they force bus timetables to have ideal bus-train connection times, with high vehicle utilisation a secondary priority. 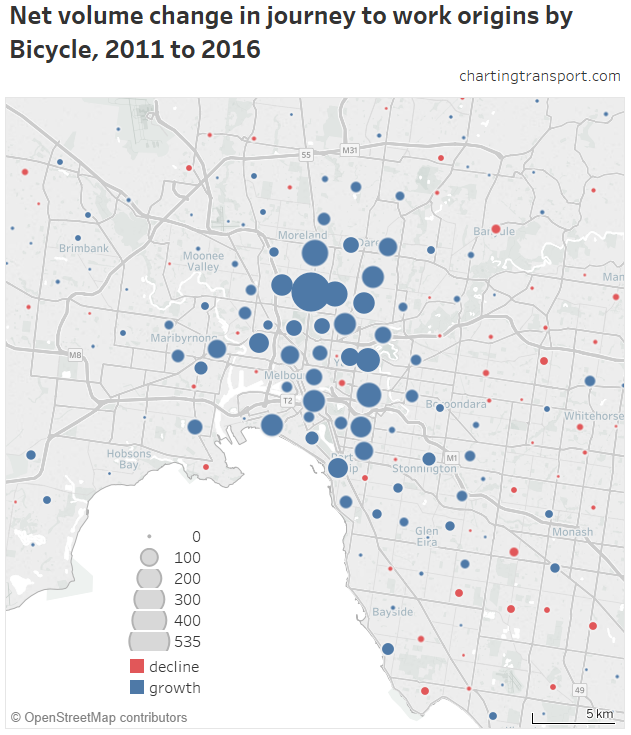 Melbourne comes in second (if Southbank and Docklands were included, the 2011 figure would be 10.3%). 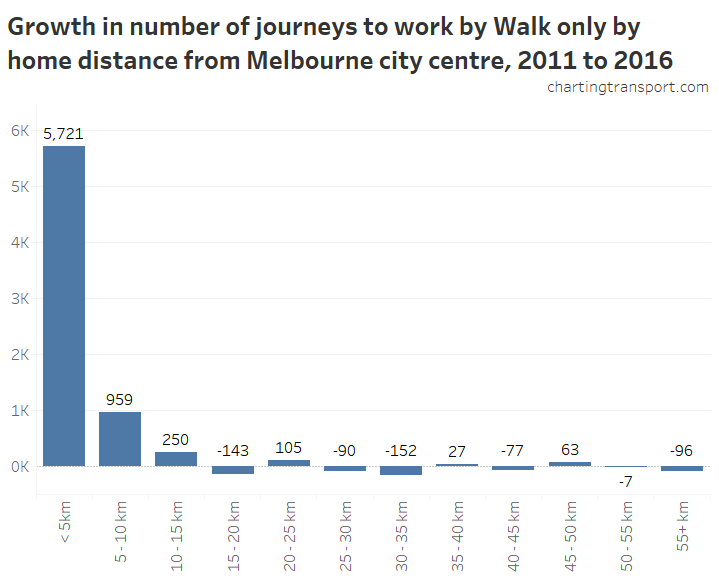 Interestingly, there were more train+bus journeys to the city centre, than train+tram journeys. Sydney is third, despite having four modes of public transport. This perhaps reflects the lack of a fully integrated fare system (ie multi-modal tickets are usually more expensive that single-mode tickets) and the fact many bus routes run parallel to train lines (and it is usually cheaper to stay on the bus rather than transfer onto the train). It’s not clear to me why Sydney would have had a reduction in multi-modality between 2001 and 2006. Brisbane had a much lower multi-modal share, probably related to a high bus mode share, the presence of busways providing efficient single-mode (often single-seat) travel for a large number of commuters to the central city, many bus routes running parallel to train lines, and the only relatively recent introduction of full multi-modal fare integration in 2004-05. Adelaide also rates lowly and has been in decline, perhaps relating to the low-frequency train system (that is now receiving an upgrade including electrification). The extension of the Adelaide tram route from Victoria Square to the Entertainment Centre may have reduced the need for existing tram passengers to transfer, but on the other hand may be helping to circulate people arriving in the city on buses and trains. 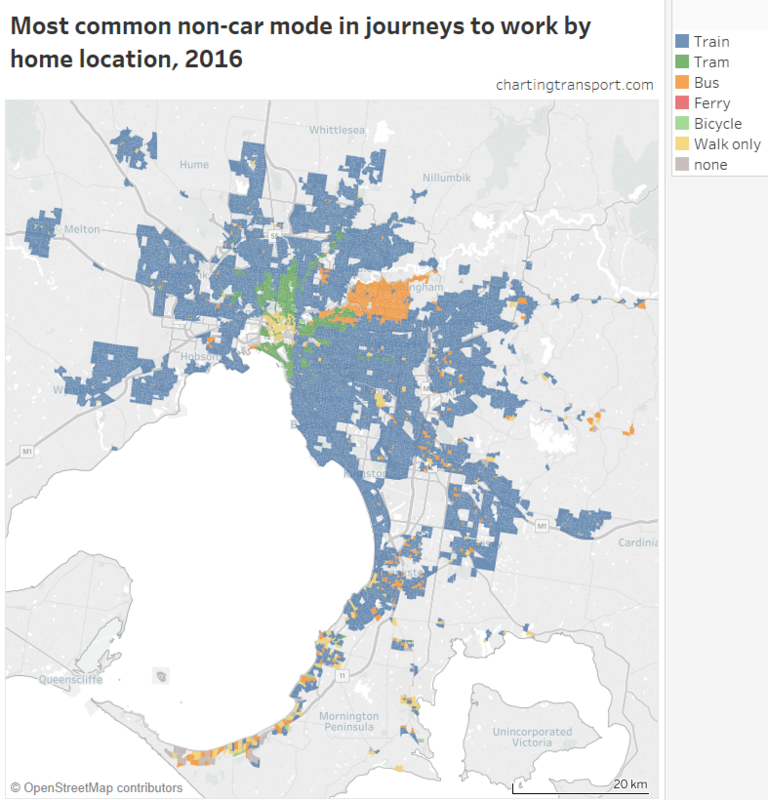 Public transport journeys to work in locations outside city centres were much more likely to involve multiple modes, which makes sense as direct rapid services are probably less likely to be available to reach such workplaces. 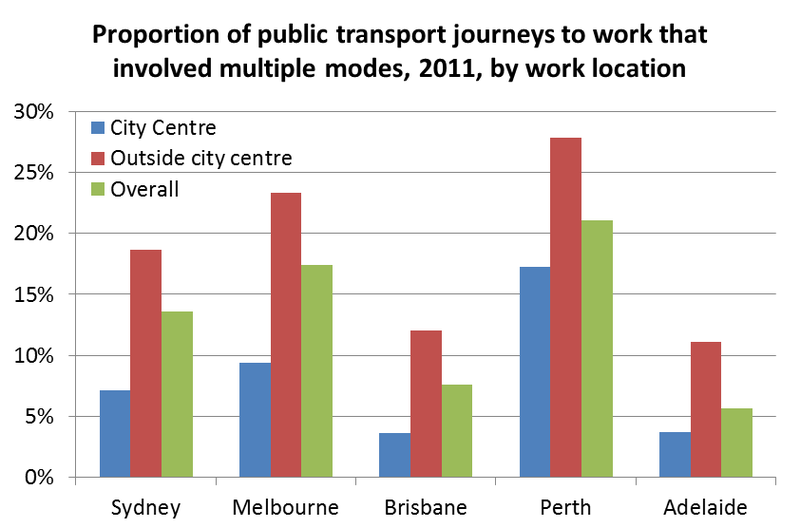 Keep in mind also that public transport mode share of journeys to workplaces outside the city centre are much lower. Perhaps the increase in Brisbane might be attributed to full multi-modal fare integration introduced in 2004/05, providing free transfers between modes. 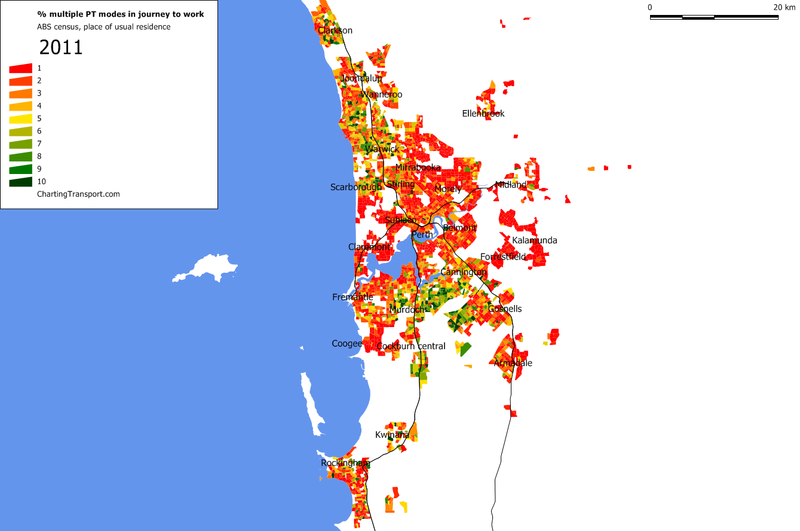 The increase in Perth is no doubt related to the Mandurah rail line opening. So is the city centre the main destination for multi-modal public transport journeys to work? In the larger cities the answer is no. 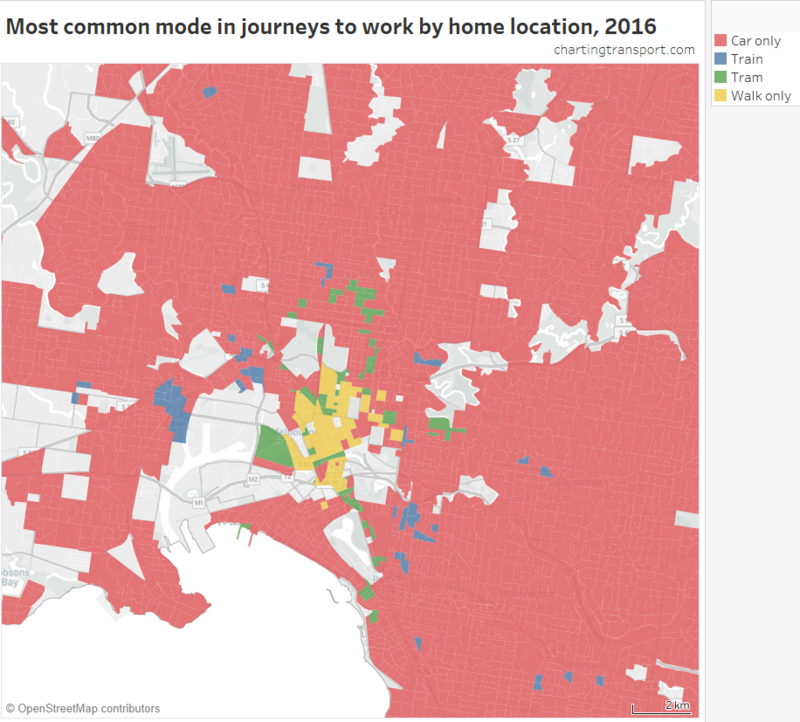 In Adelaide and Perth – where over 60% of PT journeys to work are to the CBD – only around half of the multi-modal PT trips are to the city centre. 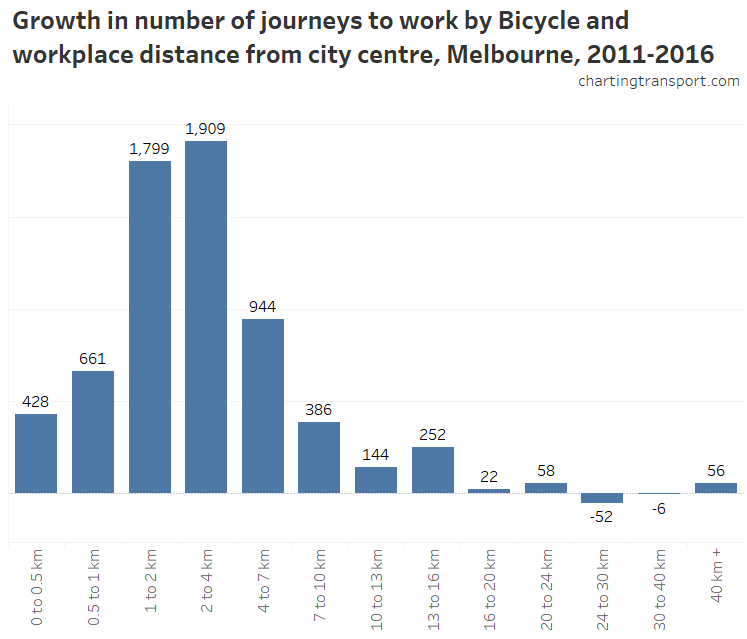 While a large proportion of multi-modal public transport journeys to work are not to the city centre, I would expect most would still be radial in nature (as jobs are on average closer to the city centre than homes). 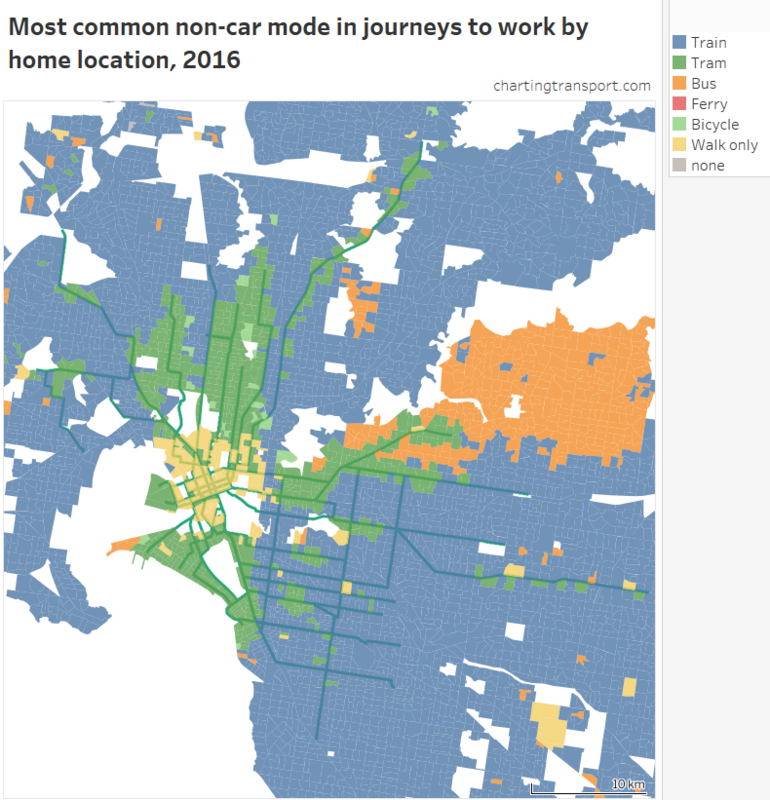 This is perhaps something to explore in a future post (my guess would be concentrations of multi-modal public transport travel to workplaces surrounding the city centre). 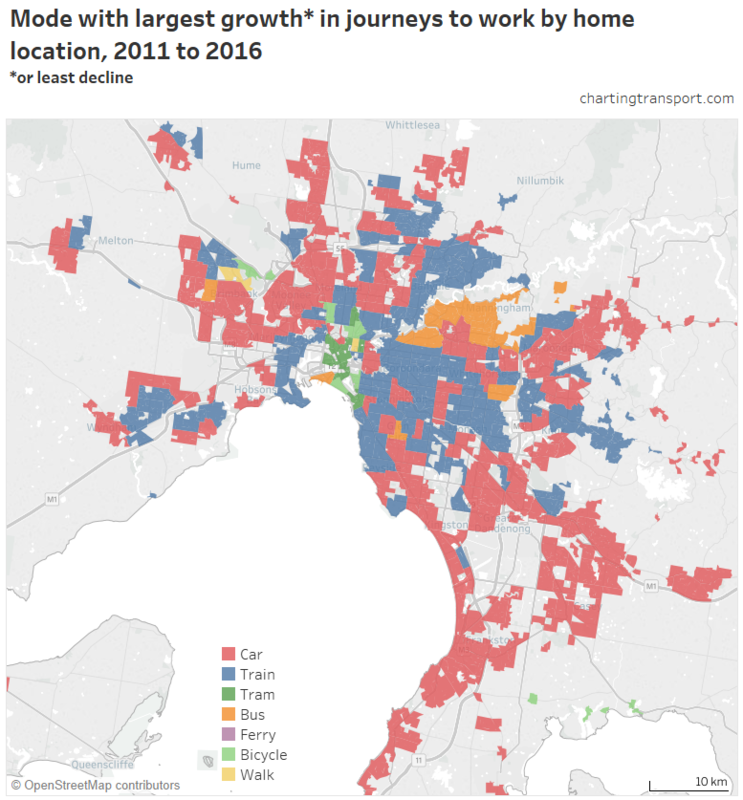 Finally, I’ve had a look at the home origins for multi-modal public transport journeys to work for Melbourne and Perth in 2011. Click to enlarge maps, and note the colour scale is for mode shares 1 to 10%. In Melbourne the highest concentrations are north of Footscray, where several frequent tram and bus routes feed Footscray station. There are also concentrations in the middle-eastern and middle-northern suburbs, particularly around SmartBus routes. 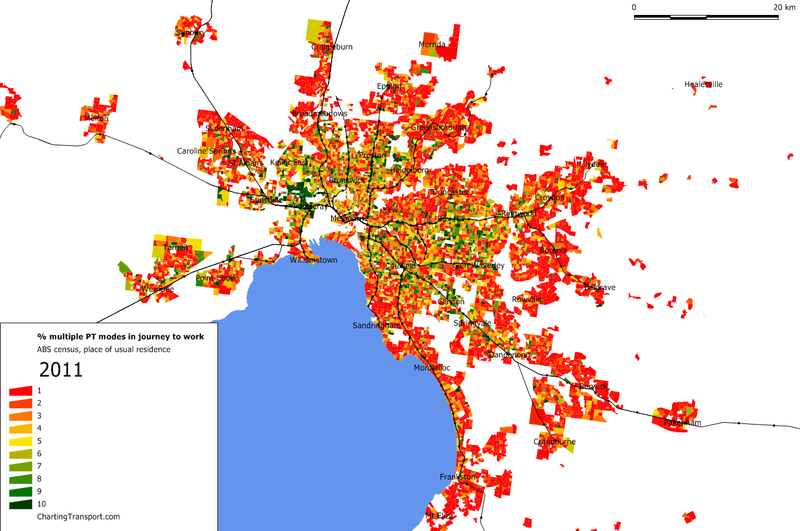 In Perth the highest concentrations are in the northern and southern suburbs, where frequent bus routes connect people’s homes to high-speed train services in peak periods. My next post will continue the multi-modal theme and look at what modes were used in conjunction with trains in the journey to work. Available data for 2001 only shows mode share in an aggregated summary, including figures for “train and two other modes” and “bus and two other modes”. Not all of these journeys involved multiple public transport modes, and I don’t know exactly how many did. To estimate 2001 figures of total multi-modal PT journeys, for each city I have calculated the proportion of 2006 journeys that would come under these headings that actually involved multiple PT modes (as detailed data is available for 2006), and then applied these percentages to the 2001 figures for “train and two other modes” and “bus and two other modes” figures. 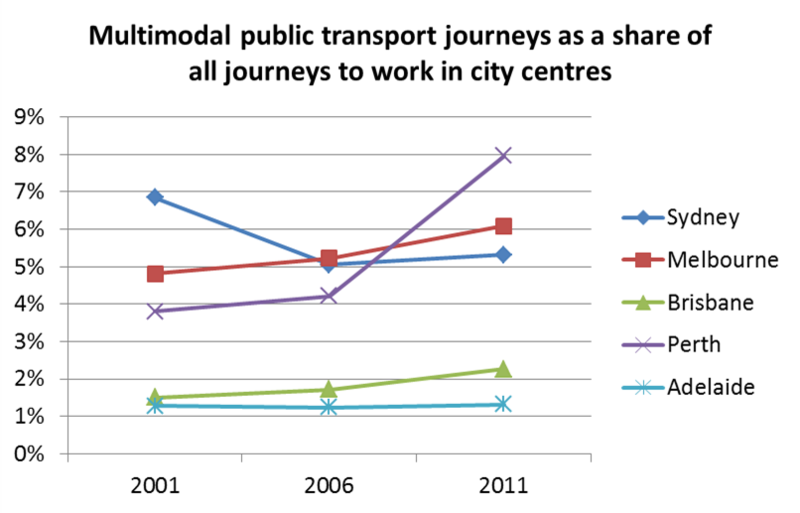 The result is that around 20% of the total 2001 multi-modal PT journeys are estimated. I also checked these percentages in the 2011 data, and they were very similar to 2006. 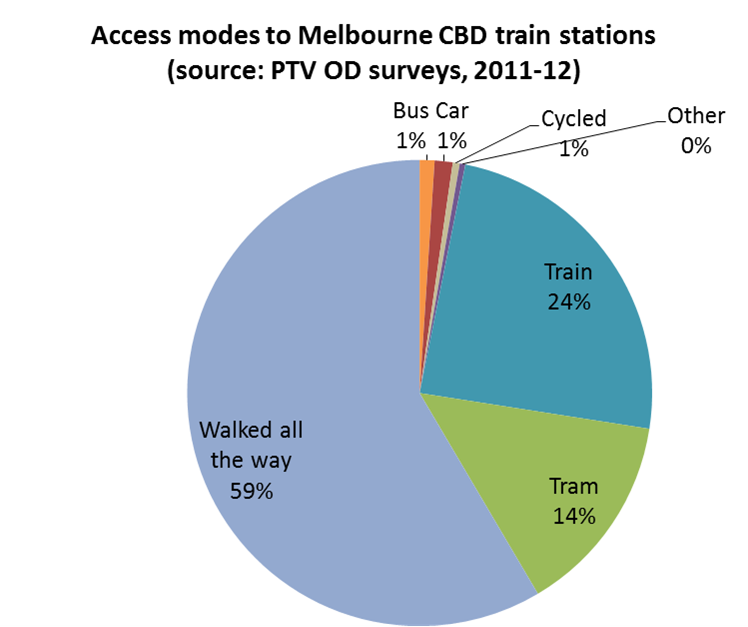 For example, 89% of journeys that could be described as “train and two other modes” in 2006 for Melbourne involved multiple PT modes, and in 2011 that figure was 88%. The similarities were weaker for “bus and two other modes”, but the numbers for this category were very small (less than 65 journeys in all cities except Sydney at 145). You are currently browsing the archives for the Multi-modal category.